Transform your flooring ideas from inspiration to installation! Learn about floors that fit your lifestyle and budget and get tips to prepare for your store visit. We'll show you what to expect every step of the way. When you're ready to buy flooring or have questions for your Armstrong retailer, you should plan ahead to make the most of your visit to the flooring store. Follow the helpful tips in this video so you're prepared when the flooring salesperson asks, "Are you looking for any floor in particular?" In this video, you'll learn about the costs to consider when planning the budget for your flooring project. Our online floor estimator tool will help you figure out the total flooring cost - including the costs for sub-floor removal and installation. To get actual flooring prices, we recommend that you visit your local flooring retailer. Listen to Francesca explain why CushionStep vinyl sheet flooring from Armstrong is the smart, comfortable choice for active households. We use the Vettermann drum tumbler to test the durability of STAINMASTER® carpet. It surpasses the industry standard when it comes to durability testing, but we believe your home is worth it. See the difference yourself. As the makers of STAINMASTER® carpet fiber, durability testing is right up our alley! Rather than use a light ball hexapod weighing 2.8 lbs, the industry standard, we use the Vettermann Drum Tumbler. It's as heavy as a bowling ball and weighs 16 lbs! When it comes to carpet durability testing which would you trust? Mohawk Home manufactures rugs and mats in the USA. This video celebrates the folks that make it happen in our small town of Calhoun, Georgia. With so many great options available, it can be difficult to decide what species of wood to use for your home's flooring. Understanding the species' properties, however, can make choosing a lot easier. Hardwood floors are a great investment. Between their timeless beauty, sophisticated appearance and impressive design versatility, it's virtually impossible to regret installing hardwood floors for your home. Despite how convenient and beneficial these surfaces can be compared to other types of floors, there are certain things to keep in mind when choosing, installing and maintaining them. It's no secret that wood floors are some of the best surfaces to use in your home. However, when it comes to two of the most common choices - engineered hardwood and laminate - there is still a lot of confusion. Contrary to popular opinion, they are not the same thing. An overview of the cut and bind rug business from Masland. Are you looking for an area rug that is just right for your family? Mohawk has thousands of stylish, durable and easy-to-clean area rugs designed for the spaces you live and play most. Explore Mohawk's Wear-Dated, EverStrand and SmartStrand fibers and find the right style for you! Product manager, Chuck, shows off the richly textured floors in our new American Scrape hardwood collection. These floors are available in domestic hickory and oak, and they're made in the USA. Find out from product manager, Chuck, how Performance Plus hardwood flooring lets you enjoy real wood floors without having to worry about kids, pets, and guests ever again -- thanks to Armstrong's Lifetime Residential Warranty. If you're shopping for flooring, or even if you're just interested in home decor and remodeling, you've probably heard of both engineered hardwood and laminate. Are they the same thing? Different? How do you know which one is the best choice for any given room or project? This video compares and contrasts the two flooring categories, so you can make smart choices. Create a comfy, warm, gender-neutral nursery with just a few easy design touches. Brought to you by HGTV and Shaw Floors. By: Latricia Thomas A local company that's known for its carpet is taking the hardwood flooring world by storm with their engineered product called Epic. When you see Shaw trucks on the Interstate, you might assume they're carrying carpet.Shaw's Vice President of Hard Surface Business Development Scott Sandlin says, We're becoming more than just a carpet company and it gives people a lot of opportunity. RevWood Plus provides the look of wood with the toughness of revolutionary laminate floor. RevWood Plus is built to withstand the traffic and trials of your home. Waterproof wood floor that is also scratch, dent and stain resistant, that is RevWood Plus. Does your carpet need to stand up to an active family, messy pets, and a high level of chaos? Then you need to be backed by blue. 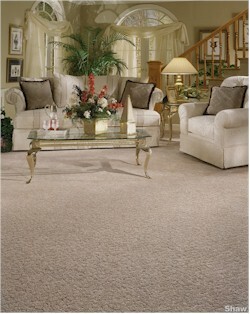 Check out a carpet with LifeGuard spill-proof backing from Shaw Floors. See the amazing new master bedroom featuring Shaw carpet in this clip from a Love It or List It Vancouver episode. They style featured is Surface Image from the Caress Patterns collection. Floors designed with intention and crafted with care. Mohawk Group’s Iconic Earth collection draws inspiration from natural stone formations over time. The stone visuals celebrate natural processes of geology with pops of sheen morphing and shifting throughout the floor. Offered in complementing 12-inch x 36-inch plank and traditional 24-inch x 24-inch formatted styles, Iconic Earth features new metallic yarns allowing for a unique lustrous effect that mimics the look of oxidized minerals. For a comprehensive flooring solution, use Iconic Earth alongside Mohawk Group’s coordinating LVT products also featuring metallic visuals. Patcraft Brand video....because flooring matters! TractionBack® is a remarkable high-friction coating that keeps our PVC-free carpet tile securely in-place without additional adhesives, floor sealers or primers. Applied during the manufacturing process, carpet tiles with TractionBack require no manipulation, additional taping, or gluing steps in the field. Ready to install out of the box makes installation, moving, or replacing Milliken carpet easier on you and the environment. At Bentley luxury, craft, quality, and sustainability are strong fibers woven into our philosophy and practices. See what makes us a leader in our industry. February 15, 2018—Brad Root, SVP of sales and marketing for EF Contract, discusses Engineered Floors' decision to rebrand Bolyu Contract and Aqua Hospitality to EF Contract and EF Hospitality. Listen to the interview to hear more about the go to market strategy and the new leadership team for these two brands moving forward. Bolyu and Aqua Hospitality were part of the Beaulieu assets that Engineered Floors purchased late last year. A cozy knit sweater. A warm woolen blanket. The bold seams of a fitted jacket. These natural textiles encourage and enhance every part of our daily lives. And now, inspired by the familiar comfort of these very fabrics, Milliken has created an all-new collection of high-end carpeting. With 5 textured patterns and 16 hue selections, Modern Bliss offers a serene carpet solution that is not only beautiful but also wonderfully calm and inviting. For the beauty of real wood floors combined with the easy maintenance of vinyl flooring, look no further than Luxe Plank luxury vinyl flooring. Product manager, Yon, shows how quickly and easily you can install Luxe over an existing floor. RevWood Plus provides the look of wood with the toughness of revolutionary laminate floor. RevWood Plus is built to withstand the traffic and trials of your home. Waterproof wood floor that is also scratch, dent and stain resistant, that is RevWood Plus. Coming to a retailer near you this spring! Transcript: This is where life happens, on me the floor. It's not easy to look this good with a job like mine. I'm the floor, that means people literally walk all over me all day all over the place. I'm okay with it. because I'm made of RevWood for Mohawk and as the name would imply I'm kind of revolutionary. I combine the beauty of solid wood with the performance of laminate. That means I'm waterproof, I'm stain resistant and I'm scratch resistant all at an affordable price without the compromise. All this bragging may sound like I have a big ego, but really I don't. I'm the floor after all, there's always something to come along and keep me humble. Hey there Sparky, that's my good boy. RevWood by Mohawk, the beauty you love. The performance you need. In this video we take you to our Luxury Vinyl Tiles factory in Coevorden in The Netherlands. We show you how we make our Allura LVT products and why they have such a high quality. Are you looking for the aesthetics of natural wood or stone floors with the advantages of strong & comfortable vinyl? 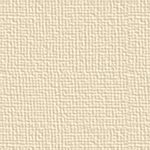 Explore our new Allura LVT collection. Warm underfoot, sound absorbing, easy installation & maintenance. There is no other LVT in the market today that can match Allura in terms of design, technology and sustainability. We offer fully adhered, click and loose lay (tackified) formats. Dress up an unattractive bathroom basin by tying heavy cord from one leg to the next; make certain the cord is tight, but has enough "play" to attach drapery hooks from which you can hang a bamboo curtain or fabric (perhaps to blend with the wallpaper or shower curtain).